A pair of herons were hanging out on the higher branches on the little island at the north end of Jamaica Pond today. Read more. What's a bird gotta do to get some privacy in this town? 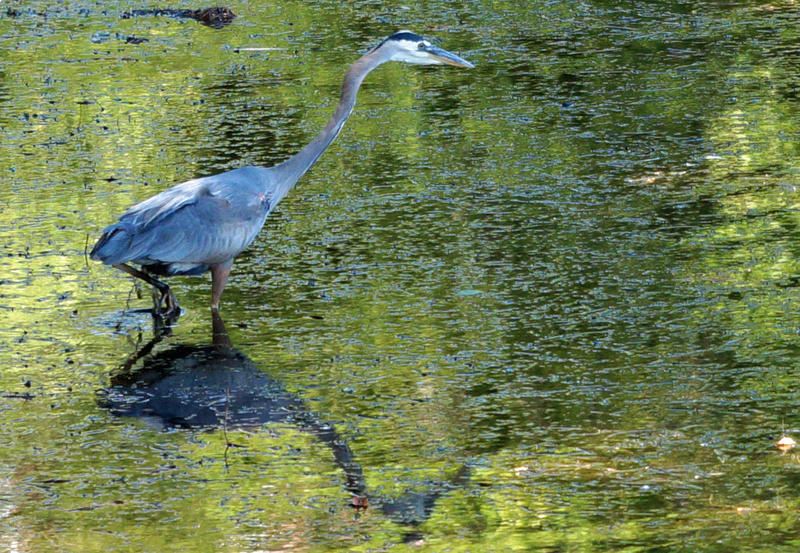 In addition to the usual ducks and geese, a heron patrolled the water just beneath the Watertown Dam today. Mostly, he quietly stood on some rocks under some brush on one side of the dam. He did take one leisurely stroll from his post to the other side of the river, attracting the eye of little kids and a couple of photographers, but finding no fish and seemingly getting annoyed by all the attention, retreated to his semi-hidden spot. 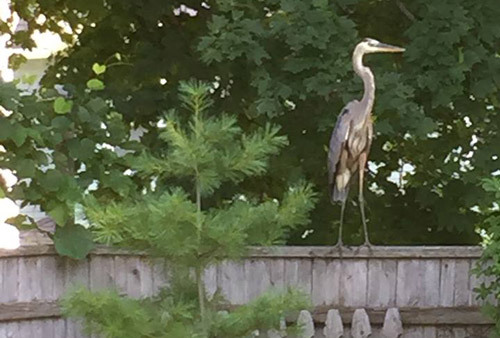 Rick Ward got a surprise visitor to his yard on Cliftondale Street near Kittredge in Roslindale this morning: A blue heron.